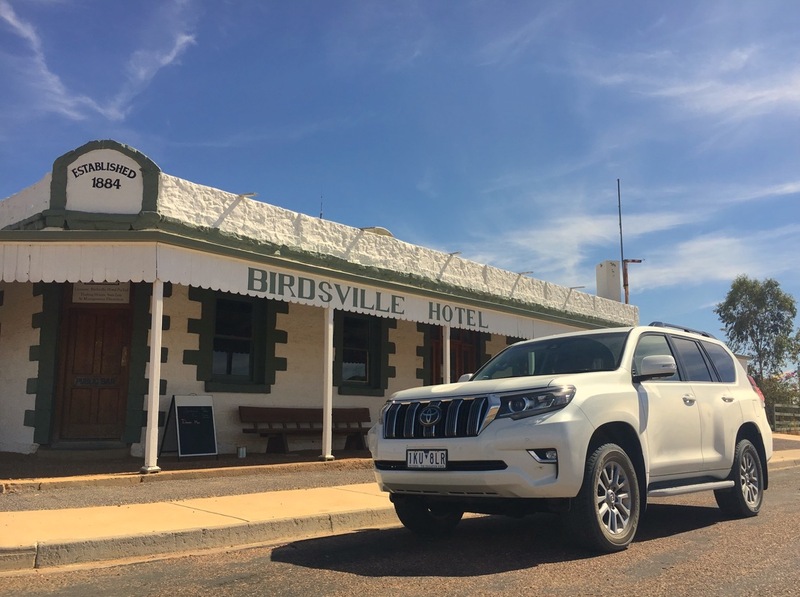 Omar our Toyota Prado posing in front of the legendary Birdsville Hotel. 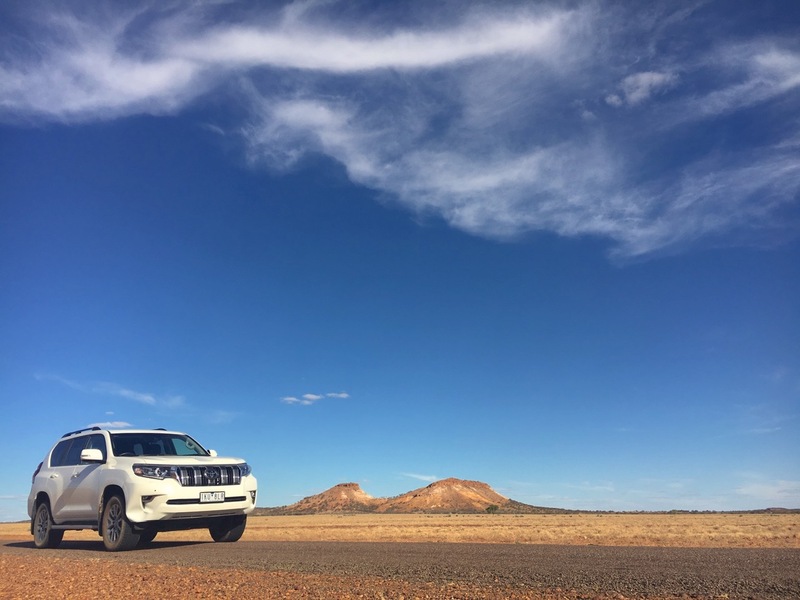 We interrupt our annual Chinese exploration to travel to some of the most isolated – and beautiful – regions of Australia with the ultimate travel machine, the Toyota Prado. 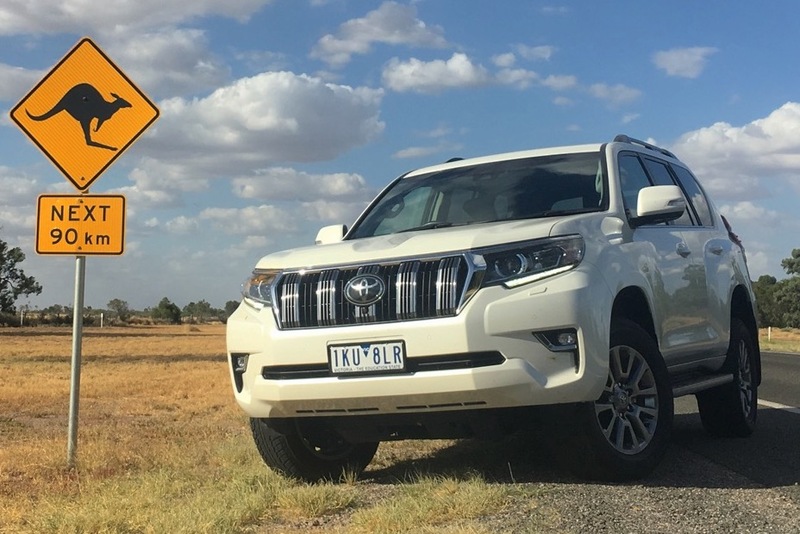 The Prado is one of only 9 nameplates in the world to top the sales charts of at least five markets in 2017, along with three other Toyotas: the Hilux we took to Fraser Island, Australia, the Land Cruiser and Corolla which we will both endeavour to drive later this year. Our official records have the Prado #1 in Kuwait for the past seven years and in Lebanon for the past two, and our estimates place it on top in Guinea, Guinea Bissau and South Sudan as well. The Prado is at its best in the Middle East, ranking #2 in Bahrain, #4 in the United Arab Emirates, #5 in Oman and Qatar and #6 overall in the Gulf Cooperation Council, but also on the treacherous roads of Central Asia, topping Georgian sales charts in 2016. In Australia where I will be driving it, the Prado has been the best-selling 4WD wagon for many years, selling just under 16.000 units in 2017. 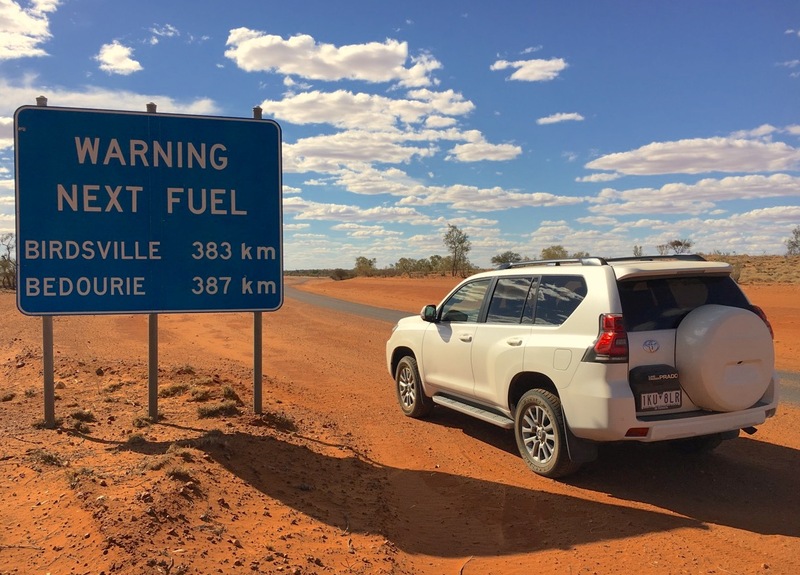 (Very) sparse fuelling stations are a typical characteristic of the deep Australian Outback. Such commercial success is the main reason we here at BSCB want to test drive the Prado as we do our best to get a better feel of the most popular nameplates worldwide. Shortly after lending me a C-HR AWD, Toyota Australia was kind enough to loan me the Prado Kakadu version priced at AUD$85.900 (US$64.400, 55.900€). It is powered by a 170hp 2.8l, 4-cyl. twin turbo diesel engine mated with a six-speed auto gearbox, comes in at 4.93m long and weighs 2.445 kg. After Lars the Volvo V90, Mikey the Tesla Model X and Natasha the Toyota C-HR, we need a male name starting in O as this is a 4WD truck, which has a masculine gender in my native tongue, French. I can never stray too far from these ingrained perceptions even though I have been living in Australia for over 15 years now… Given the Prado’s exceptional popularity in the Middle-East, we will go with Omar. 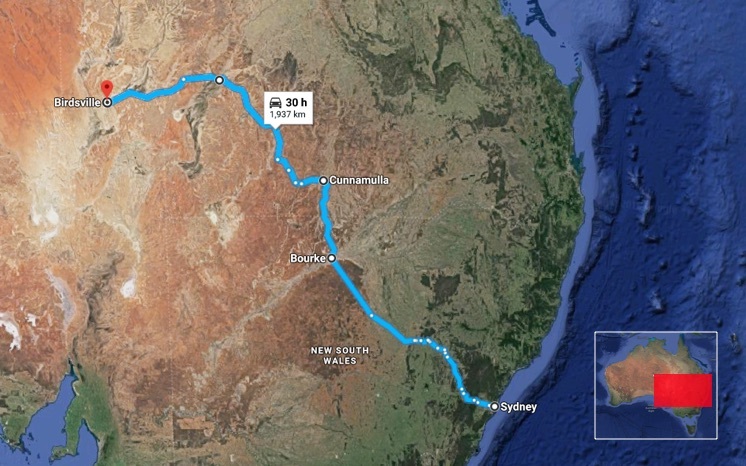 The first leg of our itinerary, from Sydney to Birdsville, will take two full days of driving. Omar has 4.923 km on the odo when we pick him up at the Toyota Sydney offices in the southern suburb of Caringbah, that figure will likely double in the next week we have it. A few steps up from the C-HR, the Prado is not an AWD but a “true” full-time 4WD with electronic locking centre and rear differential and two-speed transfer case, so we don’t have to worry too much about road conditions, as long as they are open. It was still full-on Summer when we took the wheel of the Prado in late February so the dirt tracks should be at their driest, particularly in the region we will traverse that only get smidgens of rain – if any – at this time of the year. I am also expecting blistering heat and, as we will see further on, won’t be “disappointed” on that front. Over 1.300 km of range on a full tank! The first thing when turning the power on is trying not to gasp at the fuel range. Thanks to a mind-blowing 150 litres (40 gal), the fuel tank can take you on exactly 1328 km (825 miles) based on an average fuel consumption of 15.4L/100 km or 15mpg. Yes, that doesn’t add up as it should be less than 1000 km with that fuel average but the latter seems quite significantly overestimated so it could match after all. In any case, I have never been exposed to such a generous range. 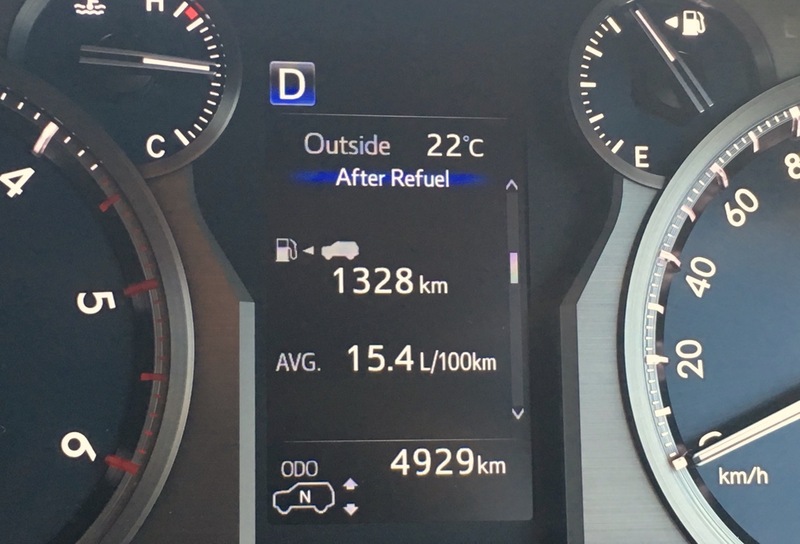 The closest I got to this was 1030km by the Volvo XC90 I drove to Cape North in 2016, which was then based on a 7.0L/100 km average consumption and a 75L fuel tank. Kangaroos are the main danger on Outback roads. The Prado’s front has been facelifted in September 2017, achieving a much more modern, robust and incisive look than the convoluted style of the previous model. It’s still far from the cutting-edge shapes of the C-HR but this design uplift is in line with Toyota’s progress in this area, further showcased by the new generations Corolla and, to a lesser extent in my view, Camry and RAV4. Toyota is as excited as I am about its new design direction, even organising a media event in Sydney earlier this month where we got to meet the President and Chief Designer of their South Californian CALTY Design Research Centre, Kevin Hunter and William Chergosky. 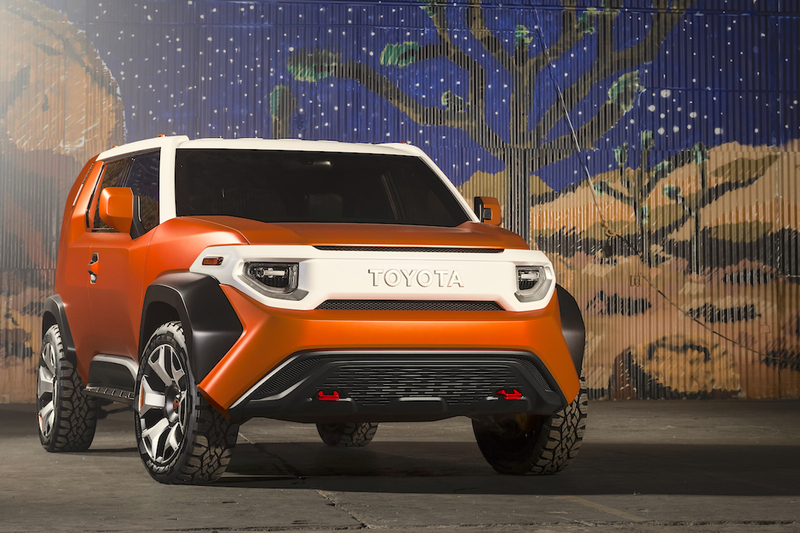 Toyota FT-4X Concept: a glimpse at the future of Toyota 4WDs? Yes please! Including Akio Toyoda’s quote of “No more boring cars!”, the event was complete with a quick lesson is sketching and our very own clay “chef d’oeuvre” which I will spare myself the embarrassment of showing you… What I was more interested in was the info shared about the recent FT-4X concept car, pictured above. The trick is to build on Toyota DNA stemming back from the original Land Cruiser and 4Runner vehicles. Let me pause here to state that this DNA is incredibly powerful and in my view way underused in today’s Toyotas. And as expected, the FT-4X is a very appealing 4WD design study, with a X shape starting from the “stout grip” and a Rugged Charm attitude. 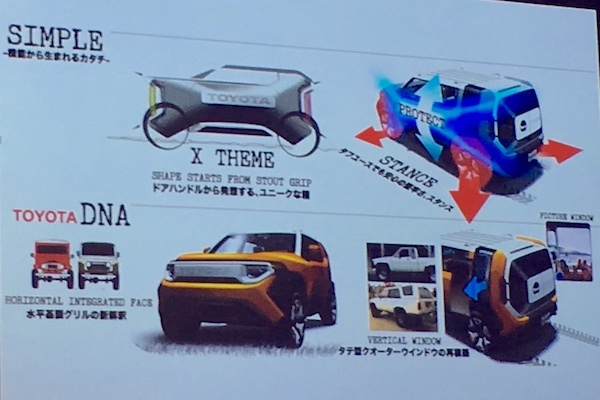 If this is what the future of Toyota 4WDs looks like, I want more right now. 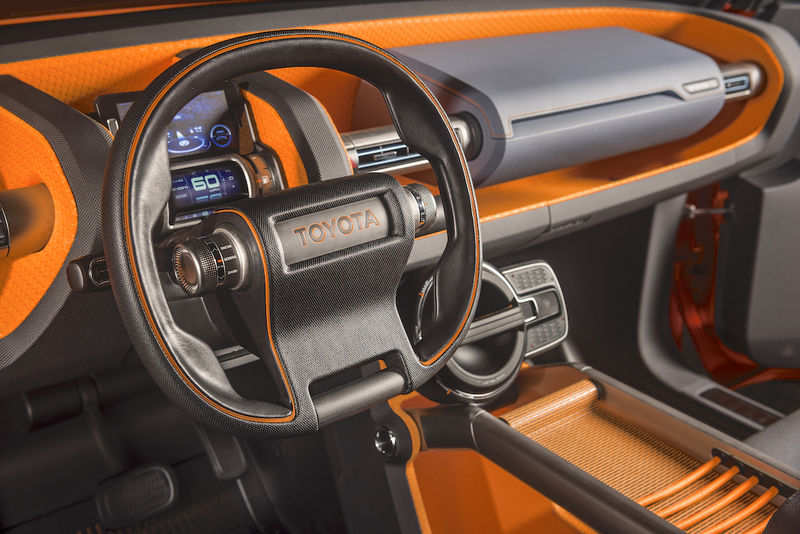 CALTY President Kevin Hunter admitted one of his favourite Toyotas ever is the FJ Cruiser and that makes me very happy indeed, and confident the brand is veering towards more playful style in the future. Even though we will be driving for 1000km/620mi today, most of our day will be spent in the state of New South Wales, and although the best-sellers in the State are heavily influenced by the Sydney market accounting for a large majority of sales in the state, there is still a countryside flavour in the charts, embodied by the two pickup trucks we find on the podium: the Toyota Hilux (+10%) and Ford Ranger (+5%). City cars overperform such as the VW Golf at #6 and the Kia Cerato at #10, while the Mazda CX-5 is the most popular SUV above the Toyota RAV4 while the Hyundai Tucson, #8 a year ago, steps out of the Top 10. The ranking above confirms my spottings on the highway leaving Sydney: the new generation Hyundai i30 has clearly made its mark on the NSW market. 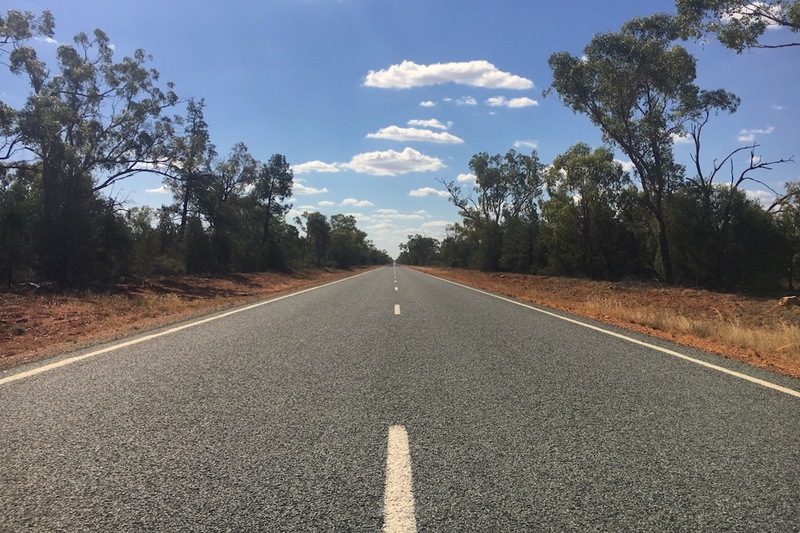 The very straight road to Bourke. Back to Omar the Prado and my first impressions. Not since Bob the Ram 2500 Heavy Duty I drove back in 2015 have I felt that “dominant” on the road. The Prado sits very high and the size of the vehicle takes just a bit of time to get used to on crowded Sydney streets. “Plump” is the word I would choose to describe the Prado’s ride for now, with a boat-like demeanour but quick reactions. The line departure alert is way too sensitive and strident, triggering when you drive on the middle-lane, not even when you drive across, and I had to swiftly deactivate it. 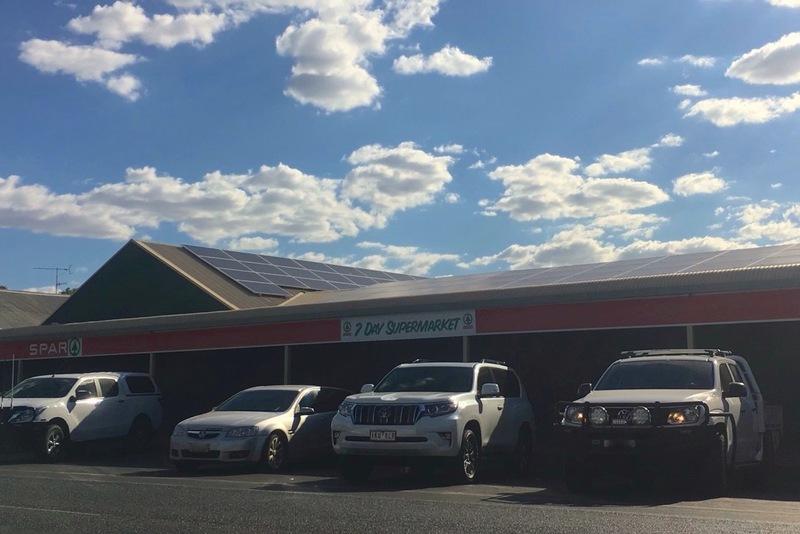 In Nyngan, 550km/342mi north-west of Sydney, there is a big road sign welcoming us to Outback Australia which also coincides with people starting to wave hello from their car when you pass them on the road, an endearing and typically Australian Outback habit. 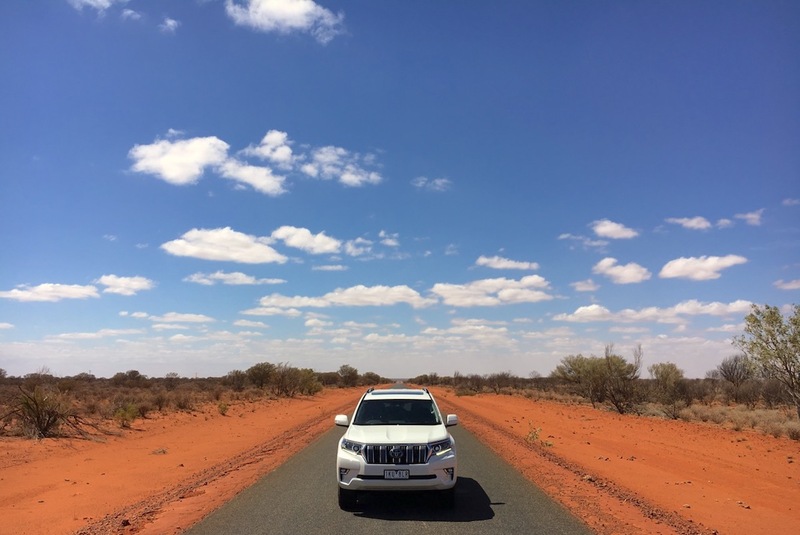 A further 200km through one of the straightest bouts of road in the world (see above), Omar and I arrive in Bourke, which we already visited towards the end of our Haval H8 adventure in 2016 and in a Skoda Octavia in 2014. The town is considered the edge of “civilisation” – read settled agricultural districts – and the gateway to the, well, middle of nowhere to the north and west of town. 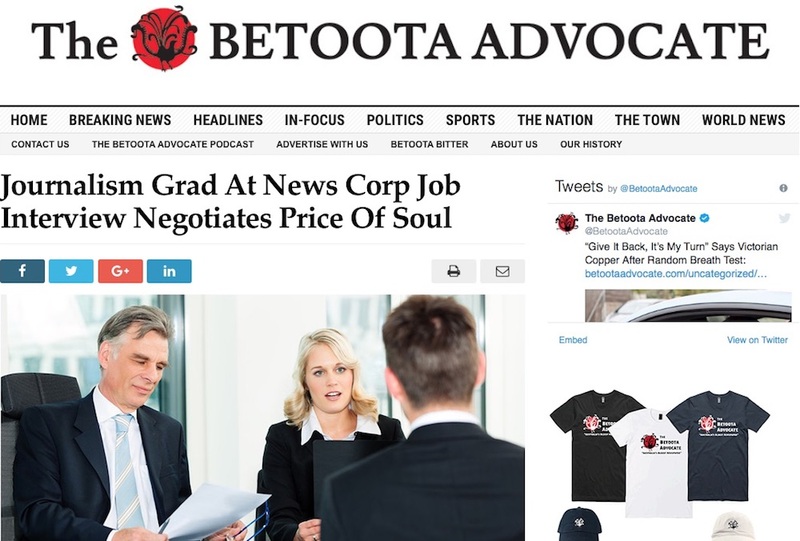 Accordingly, the Australian expression “back o’ Bourke” refers to this. Once you pass Bourke, you’re basically lost. 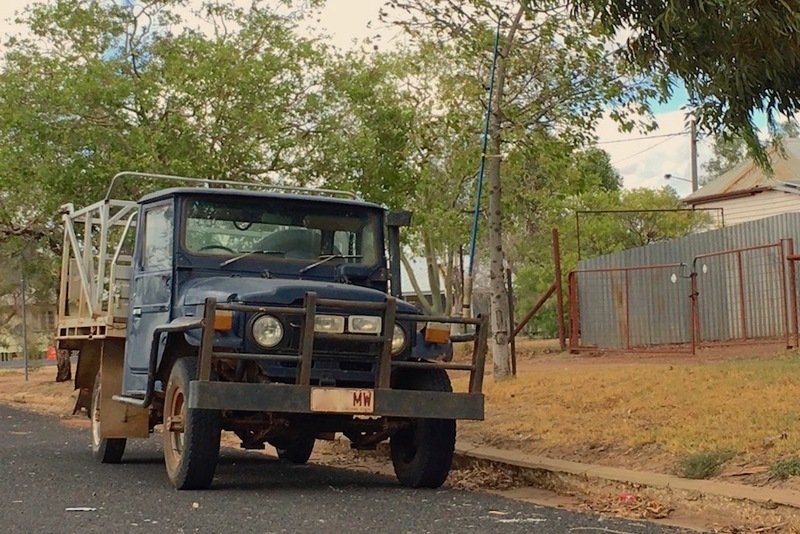 The main characteristic of cars in Bourke is that the overwhelming majority of them are equipped with a roo-bar, in order to protect against unpredictable kangaroos on the road. Kangaroos are most active at dawn and dusk, so one main objective of our first full day of driving is to arrive in Cunnamulla, a round 1000km north-west of Sydney, before night fall hence our early 8am start. 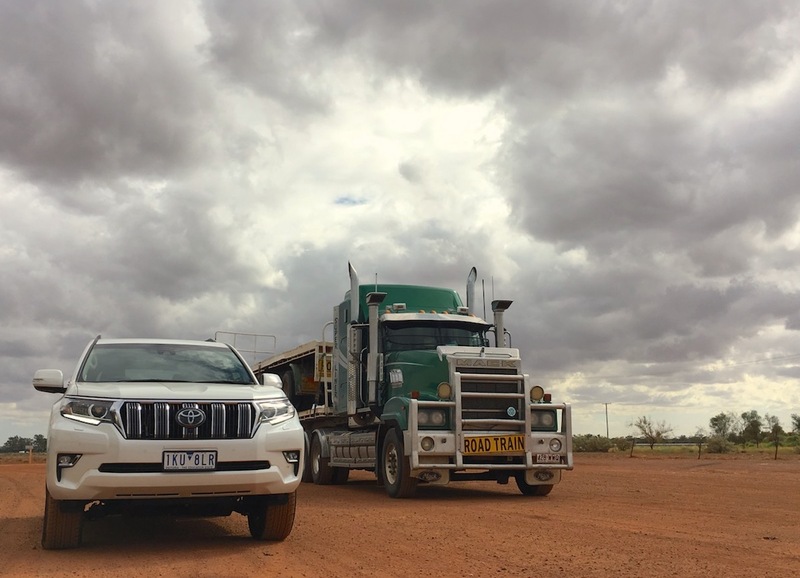 Road trains and menacing skies before leaving Cunnamulla. 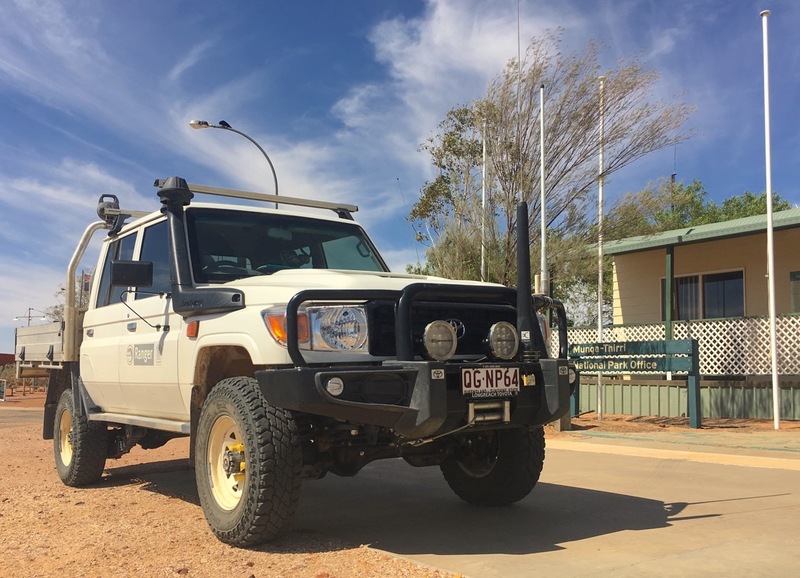 Old roo-barred Toyota Land Cruiser in Cunnamulla. And already just outside of Bourke, a solid 335 km from arriving in Cunnamulla, I spot my first kangaroo, a tiny joey car watching on the side of the road. This will be a tense three hours drive (at best) to get to my first destination of this trip. 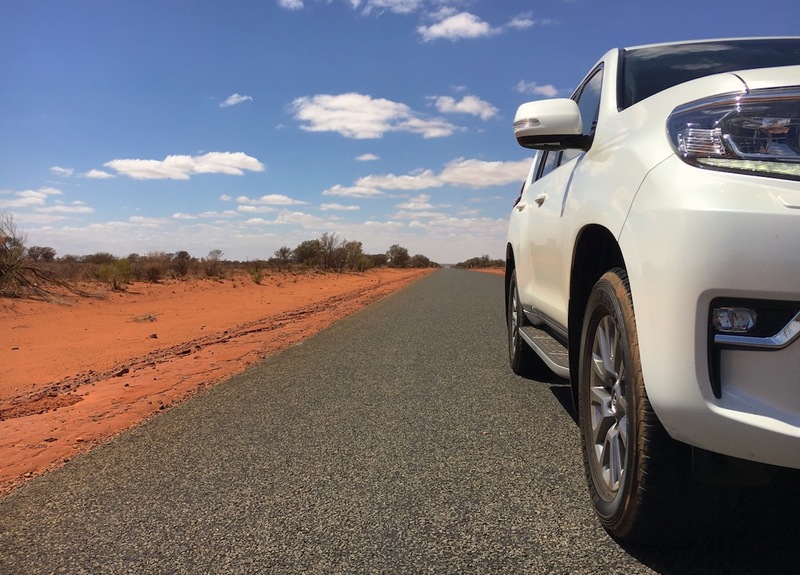 If you aren’t familiar with how dangerous driving surrounded with kangaroos is, you can check out here my – slightly stressed – recollection of the first encounters with the wildly unpredictable animals at the wheel of a Haval H8. Other animals make predictable moves as they escape in one direction or stop frozen, making them relatively easy to avoid. Not roos. They are like monkeys on speed, jumping randomly and even towards you as they get psyched by your headlights. There’s only one surefire way to avoid them: brake to a complete stop, wait for the road to clear and repeat as many times as you see a roo closing in. It’s Road Train territory. Step aside please. 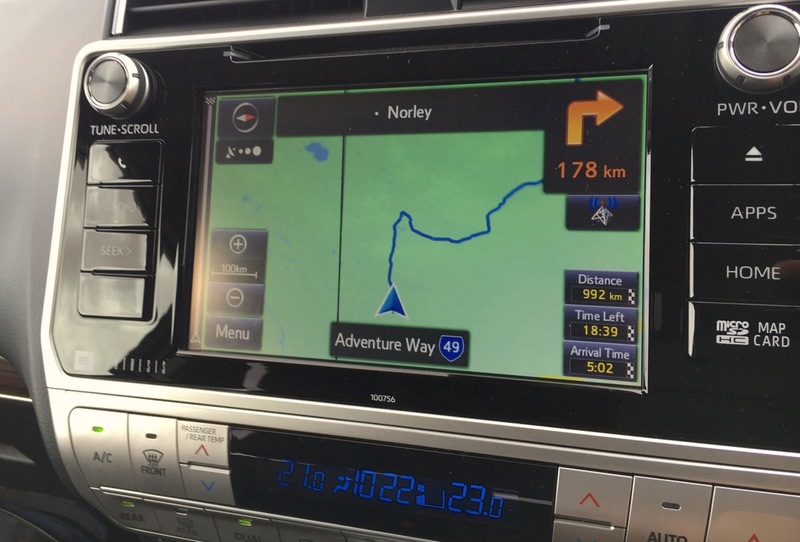 The Prado’s GPS overestimates travel times by 50% when including unsealed tracks. Thankfully I did not have to repeat this measure too often and crossed into Queensland state to arrive in quiet Cunnamulla (population 1.140) – long after dark – without having passed a single car since Bourke. 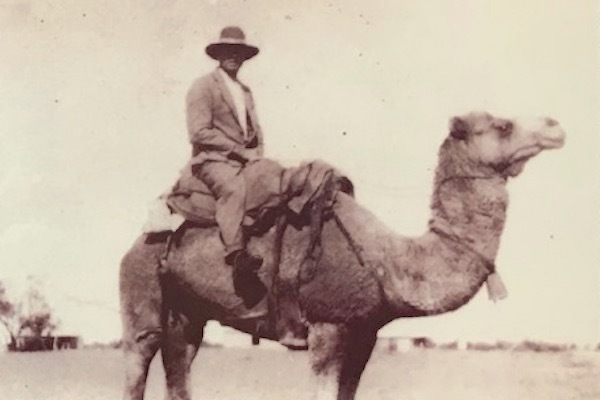 That’s the liberating loneliness of the Australian Outback. 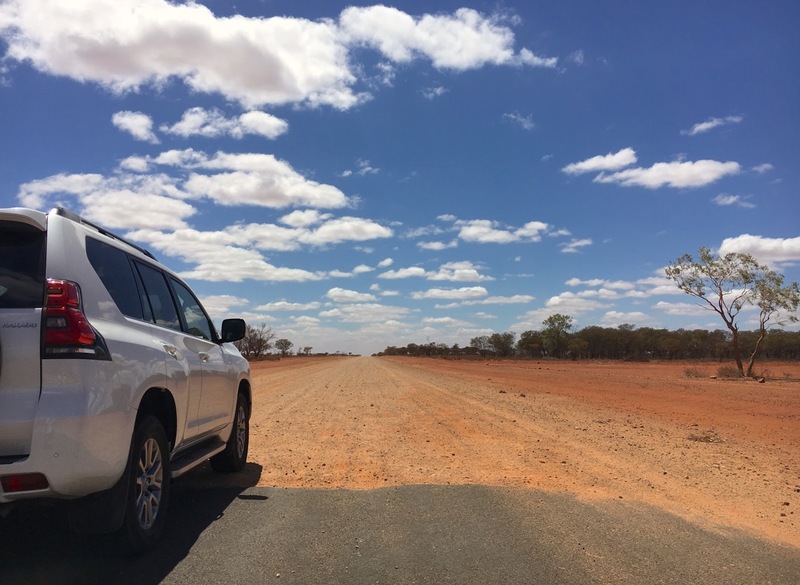 Over the first day of driving the Outback machine that is Omar our Toyota Prado, we erased 1014km (630mi) at an average of 81 km/h (50mph) and 9.4L/100km (25mpg), which lifts the car’s range to a whopping 1600km. One little annoyance is the dashboard clock being hidden between the air con temp indicators (see above) to the point where trying to read the time steals a few previous seconds of your attention to the road in a rather dangerous way. One luxury that will be sorely missed in any future car that doesn’t offer it (meaning almost all of them) is the centre console fridge, keeping all my drinks, cheese and ham slices cold for the entire duration of this trip. Plush. Wide open road here we come! Click to enlarge. As we are now in Queensland it’s time to have a quick look at the best-sellers in this state as opposed to the ones in NSW we detailed above. Queensland is the paradise of pickup trucks (called “utes” in Australia), with five of them in the Top 10 like last year. The Toyota Hilux surges 20% to cement its iron-tight grip on the charts, the Ford Ranger has managed to outsell the Toyota Corolla to rank #2 and the Mitsubishi Triton holds onto the 6th spot while the Nissan Navara is up 13% to #7 and a more frugal, cheaper option, the Isuzu D-MaxM is up a whopping 32% to break into the Top 10, replacing the Holden Colorado. Especially in the more remote regions I am travelling to, the D-Max is indeed getting more and more popular thanks to a sold value for money equation. And yes, our very own Toyota Prado also makes its entrance in the QLD Top 10 at #8 thanks to deliveries soaring 21%. Omar is in home territory here. 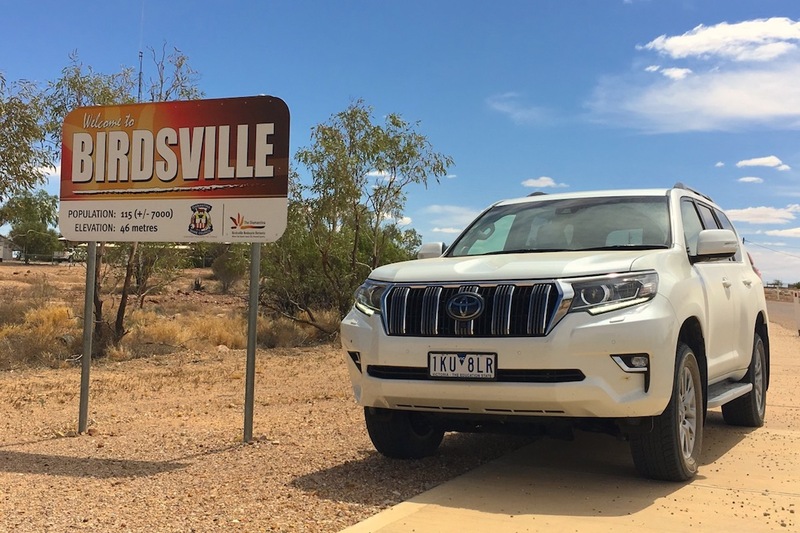 What you can’t see in the charts is the legendary status of the Toyota Land Cruiser 70, the police car of choice in all ‘major’ towns here: in Bourke, Barringun, Cunnamulla, Eulo and Birdsville as we’ll see further down. The second day of driving is shaping up to be a replica of the first in terms of distance covered: roughly 1000km to reach Birdsville, the difference being a lot of it will be on unsealed tracks this time. And Omar’s GPS is struggling to calculate a realistic arrival time for this leg of the trip, warning me it will take almost 19 hours and I will get there at 5am. Not quite. It was another long day of driving but I did purposely record my exact departure and arrival times to set them against the GPS prediction: start was at 9:15am and arrival 8:53pm, making it 24h of driving in the past two days and just under 12 hours today, exactly as Google Maps predicted. On the way to Windorah we reach our best fuel consumption so far at 8.6L/km (27mpg). 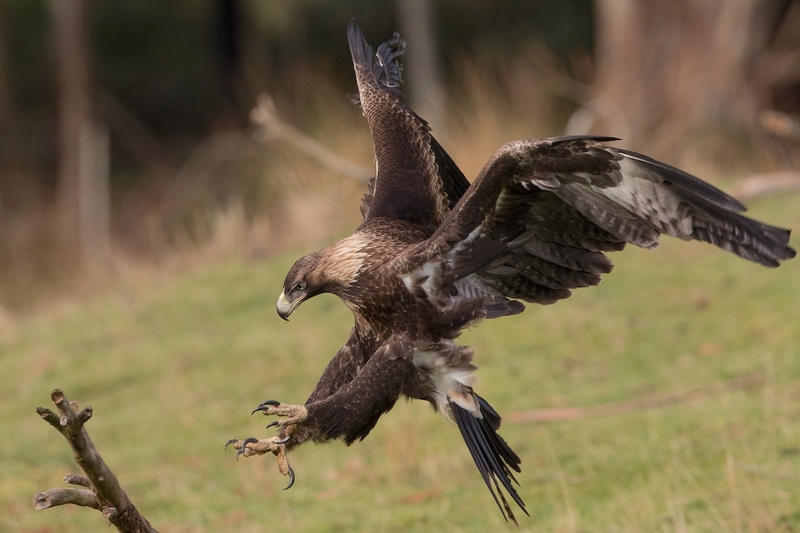 Above: wedge-tailed eagle. Below: I wish one of these signs were on the road today! Between Quilpie and Windorah, disaster strikes. I had been mainly focused on avoiding kangaroos at dawn and definitely did not expect what would happen next. This region is home of the largest bird of prey in Australia, the wedge-tailed eagle, sporting a wingspan of up to 2.85 m (9ft 4in). The roads around here are littered with roadkill (mainly kangaroos) which all sorts of birds, including the wedge-tailed eagle, feed on right in the middle of the road. During all my previous trips in the region, all large birds managed to leave the road in time to avoid me, but not this one time and this particularly sated eagle that took half-a-second too long to clear the way and dented the bottom right bumper of the Prado. I am sorry to say that as a result of this unexpected encounter, the population of wedge-tailed eagles in Australia has been reduced by one. 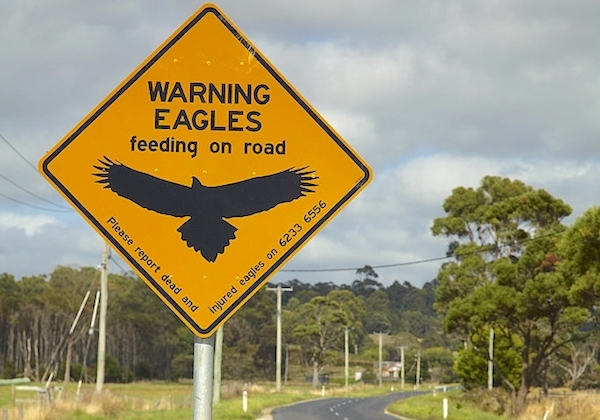 Note only Tasmania has “Warning Eagles” road signs, not Queensland, and it might be a good idea to change that ASAP. 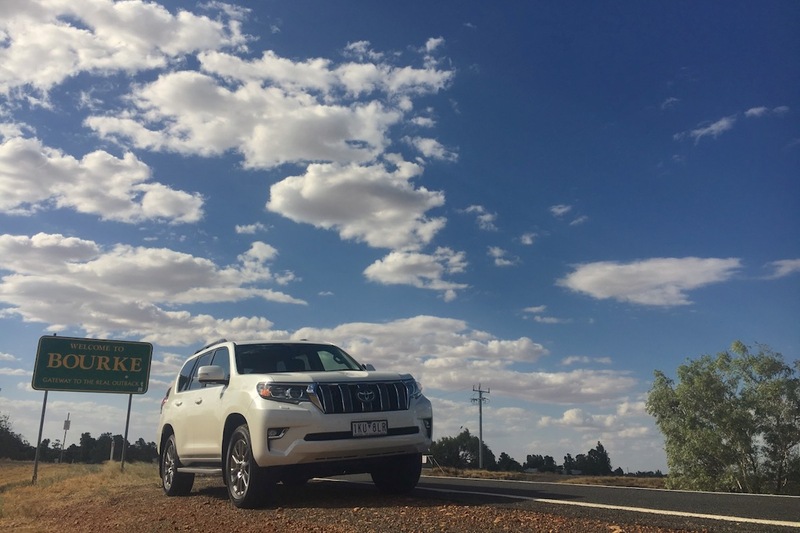 Big sky galore and Omar in Windorah after an unexpected encounter with a wedge-tailed eagle. As you can imagine, I remained quite frazzled by the hit for a while, but was also curious as to why it happened in the first place. 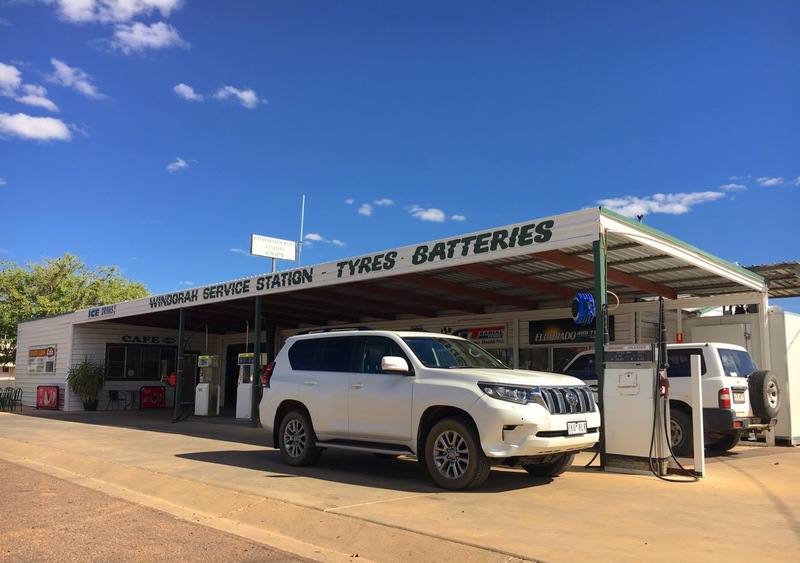 I shared my sad experience on my next fuelling stop in the tiny settlement of Windorah (population 110), the last human presence on my way to Birdsville almost 400km (250mi) west. The lady at the service station looked sideways at the Prado and scolded me: “that’s what happens when you don’t have any roo-bar”. I know, but I also never hit an eagle before, nor any other animal for that matter. So why now? Turns out the drought affecting the region is particularly severe this year, and as a result all animals are weakened and slower, even after feasting on roadkill. True to form, I narrowly missed a couple of pigeons a few hours later. One more thing I didn’t think I’d have to worry about on a road trip: birds! Road? Tick. Emergency Airstrip? Also Tick. 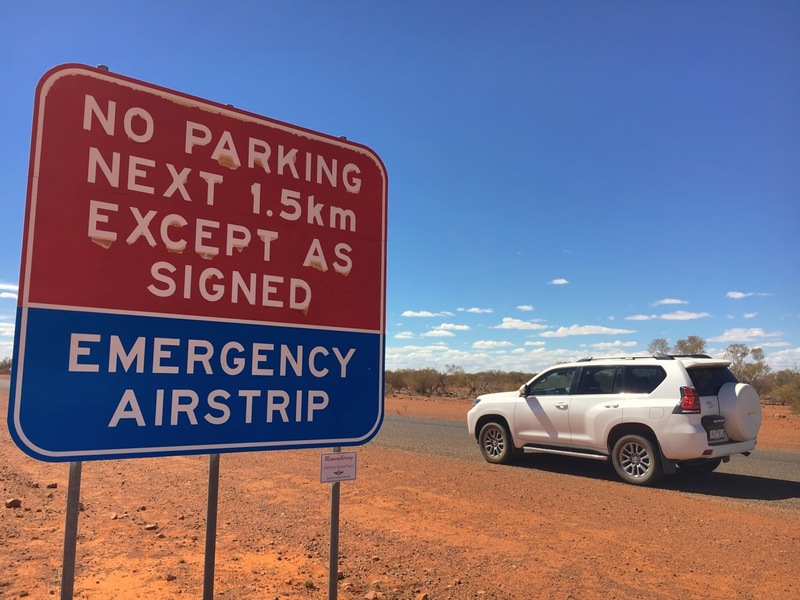 This part of Australia is also the location for numerous iterations of a fascinating concept in itself: the road becoming an emergency airstrip for Flying Doctors aircrafts. They are announced by a sign forbidding cars to park on the road for that distance, as pictured above. 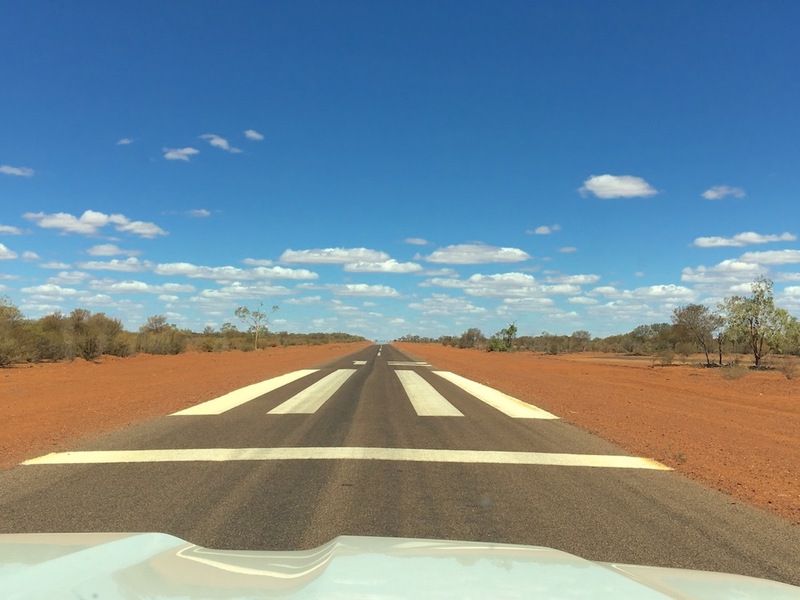 There are three of these airstrips from Quilpie to Birdsville. The Royal Flying Doctor Service, an iconic Australian institution, was founded in 1928 as a “Mantle of safety for the Outback” and remains to this day the only health care provider and emergency medical support for remote Australian communities that cannot access a hospital or general practice due to their isolation. Operating out of 23 bases with a fleet of 66 aircrafts, the service travels on average 73.550 km by air and performs over 200 landings, both each day. Yes, read that sentence again until it sinks in. 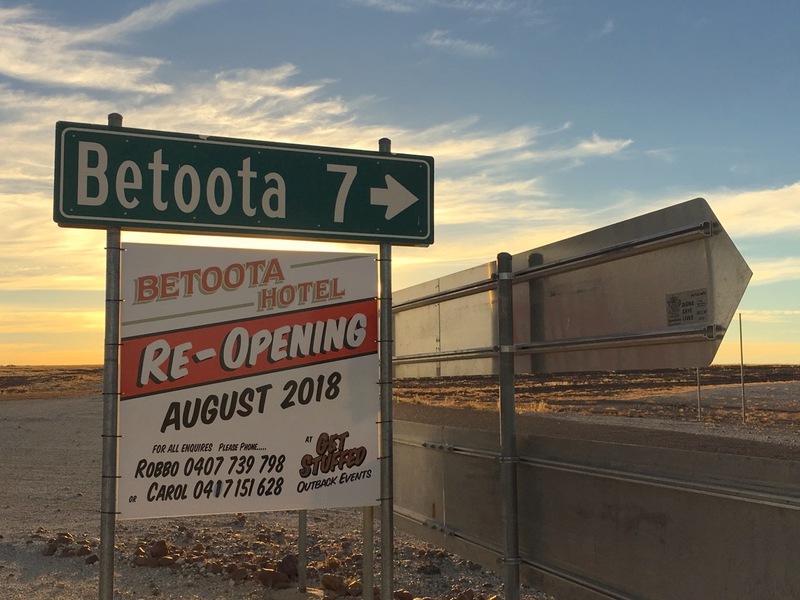 No, this is not a hoax: the Betoota Hotel really is re-opening. Sunset in the desert. 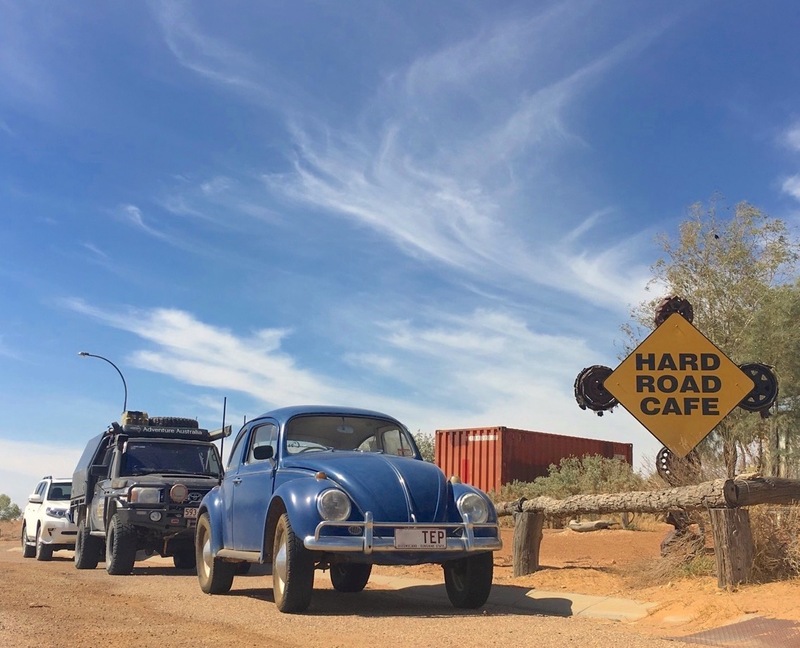 The legendary Birdsville Beetle, and big skies… Before Land Cruisers, police officers used camels for transport. The first car reached Birdsville in 1915. I reach Birdsville well after sunset once again but this deserted part of the country is not the favourite playground of kangaroos so despite a few pointing their nose after Betoota, there were no more nasty encounters to report for the day. I allow myself a half-day rest and take this opportunity to meet the locals. I particularly wanted to meet Stephan Pursell, the only policeman in town, made “famous” by a long feature in local magazine Wheels which hilariously chose to truck in a Mazda CX-3 for the photo shoot. 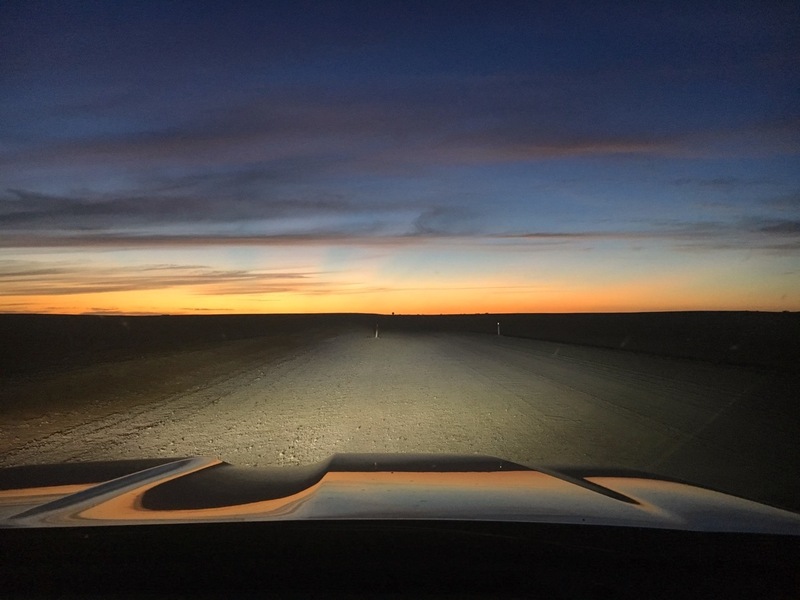 Perhaps they should read our Toyota C-HR to the Oodnadatta Track coverage… You can also check out the reports I did of my last visit in town in 2016 with a Haval H8 here and here. 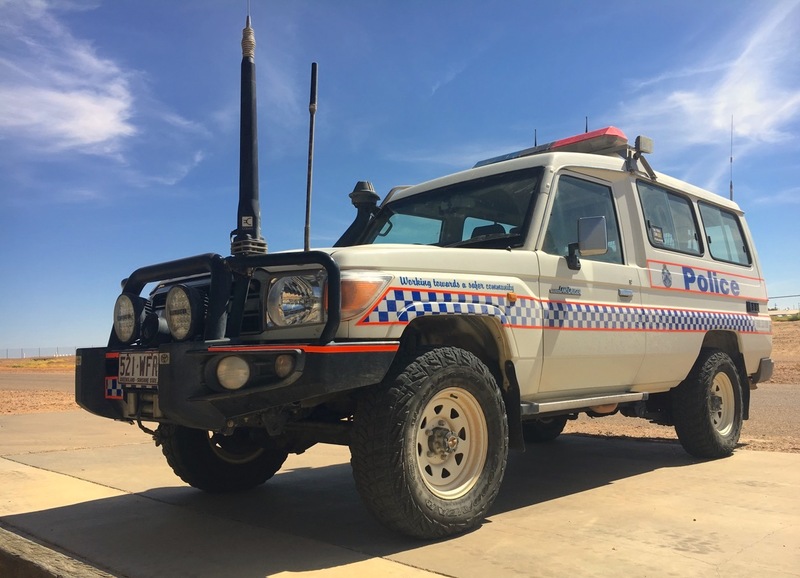 No better advertising: The Land Cruiser 70s of the Birdsville Police and Ranger station. 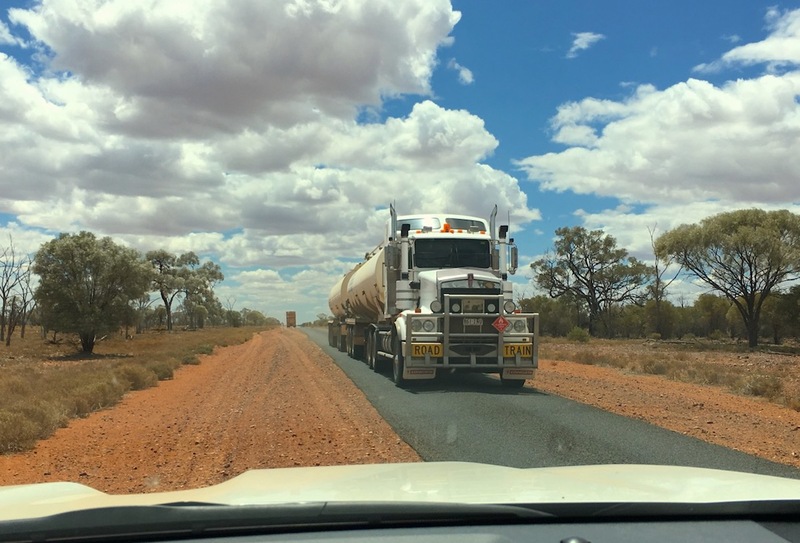 Meeting the locals in Birdsville in the middle of summer is a fantastic experience as I was the only tourist – and therefore the main attraction – in town, with everyone very curious about my whereabouts, itinerary and destination. Stephan the policeman is as jovial as I expected and kindly let me bombard the station’s few Land Cruiser 70s with photos. The tourist centre has all the advice I need for the next leg of my trip as the sole visitor in town, and the Birdsville Bakery owner, also running AdventureAustralia tours, chips in with a complimentary curry and camel pie, promising to tag along if I ever decide to one day cross the mighty Simpson Desert. 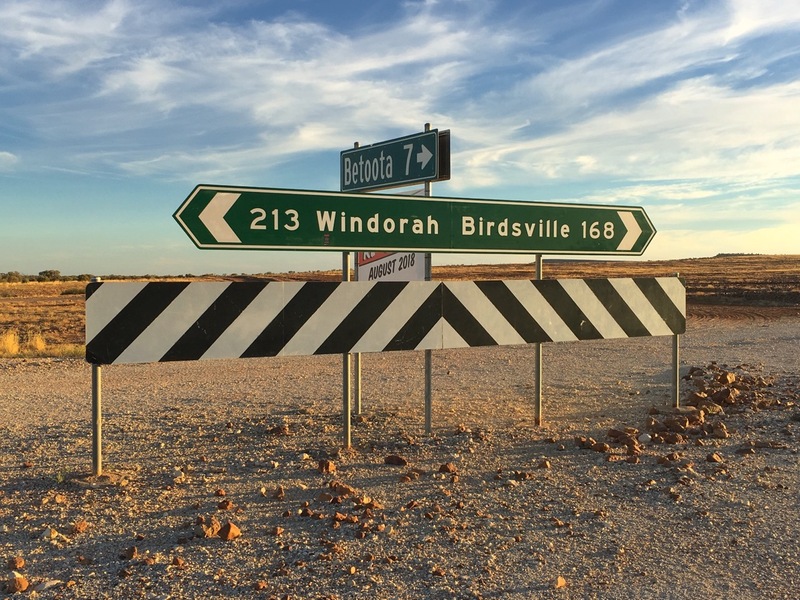 Birdsville (population 115) is an adorable little town lost in the middle of the desert and the hospitality of its inhabitants is as Australian as it gets. I will be back for sure. Stay tuned for the next leg of our exploration across the perilous Plenty Highway.